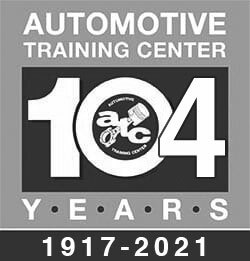 Is Automotive Training Center (ATC) accredited? The Accrediting Commission of Career Schools and Colleges (ACCSC), which is nationally recognized by the U.S Department of Education, accredit both of ATC’s campuses. ATC’s Exton and Warminster campuses respectively received the 2007-2008 School of Merit and School of Distinction awards issued by ACCSCT (currently ACCSC). The Exton campus was awarded the School of Excellence award by ACCSC for 2013 – 2014. What sets ATC apart from other schools? There are many ways that ATC is different from other technical career schools, but by far the most unique difference is ownership. ATC is family owned and operated and the story behind the ownership sets the tone for the philosophy and culture of the school. The school was started in 1917 and is the oldest continually operated automotive technical school in the area, if not the entire United States. The current owner, who is the President and CEO, was a graduate and former instructor at the school and a Master Certified ASE Technician. His passion for technical education and his enthusiasm for cars and boats instills an excitement in the school day-to-day that we believe is unparalleled. In addition, the school has won numerous awards over the years, perhaps the most notable being the 2006 National Winner of the Award for Excellence in Automotive Training sponsored by the Automotive Industry Planning Council (AIPC) and Automotive Service Excellence (ASE). There are several different answers to this question, depending on your personal situation. Regarding the tuition, it varies depending on the program for which you enroll. Other school related expenses are tools, uniforms, and living expenses. Textbooks are included in the tuition for all programs. Does the school have financial aid available? Financial aid is available for students who qualify. Applicant students are required to complete a Free Application for Federal Student Aid (FASFA) from which their eligibility is determined. Students attending ATC that are residents of Pennsylvania may qualify for grants issued by the Pennsylvania Higher Education Assistance Agency (PHEAA). Other Federal Financial Aid programs (Title IV) that students may qualify for are Pell Grants and Federal Direct Loans (Subsidized and Unsubsidized Stafford Student Loans and PLUS Loans to parents). Are scholarships available at ATC? ATC conducts an annual High School Senior Scholarship Program every year from October through April. All active high school seniors are eligible to participate in the program. The total value awarded for both campuses exceeds $200,000. Interested students should contact the school for details on the registration process. Other scholarships sponsored by outside agencies are available as well. Please see the Scholarship section of the website for additional scholarship opportunities. Scholarships are available for those who qualify. Does the school have housing? The school’s Career and Student Services Department has listings of several apartment complexes and other accommodations that provide comfortable and safe off-campus living housing to our students. Students who are interested in sharing housing to help reduce costs can request this information through their admissions representative. Unlike a typical four-year college with only two starts per year, all of our programs start several times on a regular schedule throughout the year. Interested students should contact the admissions office for the next available start date. All instructors at ATC were successful technicians in the industry prior to joining the school and have a minimum of three years of field experience. The average field experience for the ATC instructor staff exceeds twenty years. ATC instructors are trained to teach and are ASE and/or I-CAR certified in at least the courses that they teach. Many of the instructors are certified in areas from the manufacturers that they were employed by prior to ATC. 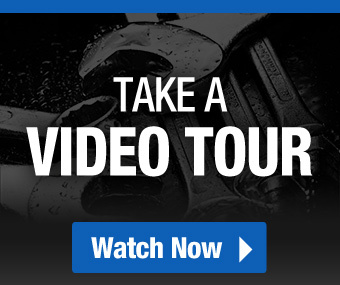 Most instructors are Master Certified ASE Technicians. The Marine instructors hold manufacturer certifications from several manufacturers, including Honda Outboard and Mercury Marine and ABYC. This combination of education and experience brings a unique blend of information and insights into the classroom that would take students years to learn on the job. ATC instructors are required to stay abreast of emerging technology in the industry. The school updates its instructors through Program Advisory Committee (PAC) Meetings, seminars and workshops regularly so that they can pass this information and technology onto their students. Tutoring is available to all students regardless of their training schedule (day or evening). Instructors are available for a minimum of one hour after or before class starts to assist students in any area they need extra help.